Archives : MARKET RALLIES; AS FEAR PREMIUM ON NIFTY DISAPPEARS - 22/08/2014. MARKET RALLIES; AS ‘FEAR’ PREMIUM ON CRUDE DISAPPEARS – 22/08/2014. STRATEGY : BUY ON DECLINES. The Bull rally continued and as a result the market made another new all time high; and in the process registered highest weekly closing. The Nifty has closed just one percent shy of the 8000 levels. Till now the rally was concentrated in only a few frontline stocks but this week the broader market participated and the mid-cap index bounced back up by nearly 4%. Every small decline in the market is being bought into and hence ‘Buy on dips’ remains the strategy for traders. This weeks rally was primarily led by the banking stocks especially the PSU banks. As a result the Bank Nifty has managed to give a strong breakout and has also closed at a life high. One of the most positive events for the market is the way crude prices are declining especially when there is global unrest in the Middle East and Russia. Emergence of the U.S. as the highest oil producer in the world has made supply worries of the Middle East irrelevant; and has totally removed the ‘fear’ premium associated with crude Oil prices. This augurs well for Oil Marketing Companies as Diesel Deregulation now looks a certainty in the near future. Sensex opened the week at 26123, made a high of 26530, low of 26075 and closed the week at 26419. Thus it closed the week with a gain of 316 points. At the same time the Nifty opened the week at 7785, made a high of 7929, low of 7779 and closed the week at 7913. Thus the Nifty closed the week with a gain of 122 points. After a strong move on Monday, the market has consolidated and made a doji formation in the Sensex on Friday. On the weekly charts, both the Sensex and Nifty have made an Opening White body Marubuzo. Thus the weekly pattern indicates the continuation of bullishness in the near term. In March this year the market had given a very strong bullish breakout for multiple patterns on multiple timeframes. One of the formations was a Bullish Rounding Bottom on the weekly charts which has a target of Sensex 27081 and Nifty 8145. A Flag pattern will get completed once the Sensex closes above 26530 and Nifty above 7922. The target for this pattern will at Sensex 27828 and Nifty 8304. Both the indices completed a Bullish Island Reversal and thereby generating a Buy signal. The signal will stand negated if the Sensex closes below 25232 and Nifty below 7540. The market is constantly making higher top higher bottom formations and the short term trend is likely to reverse if the Nifty closes below 7540 and Sensex below 25232. A breach of this support is likely to test the Support zone between Sensex 24979-24878 and Nifty 7441-7394 which is due to a confluence of the 61.8% correction level with intermittent bottoms at Sensex 24892 & 24878 and Nifty 7441 & 7422. This week, both Sensex and Nifty have managed to remain above the short term average of 20dma (Sensex – 25969 and Nifty 7757) as well as the medium term average of 50dma (Sensex – 25665 and Nifty – 7667). Both the indices continue to remain well above the long term average of 200dma (Sensex – 22756 and Nifty – 6785). Thus the trend in the short term, medium term and long term continues to remain bullish. MACD and Price ROC are both positive and continue with their buy signal. RSI at 62 indicates bullish momentum for the market. ADX at 26 indicates the uptrend showing strength. Directional Indicators continue in Buy mode as +DI is above –DI. OBV has gone above the previous top and thereby signaling a fresh Buy. 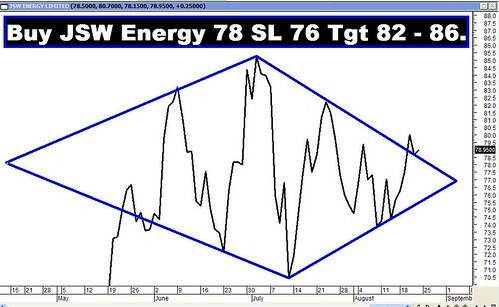 MFI at 72 suggests positive money flow in the market. Thus Oscillators are suggesting a bullish bias for the market. The Options data suggest highest Call writing at the strike of 8000 and highest Put writing at the strike of 7700. This suggests a trading range for the market with support coming in at 7700 and resistance at 8000. 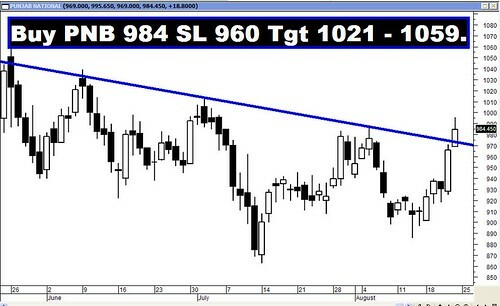 Friday saw strong Put writing at 7900 strike which indicates immediate support at 7900. Strong Trendline Support for the Sensex is at 25562. Trendline Resistance is at 26903. Strong Trendline Support for the Nifty is at 7629. Trendline Resistance is at 8089.